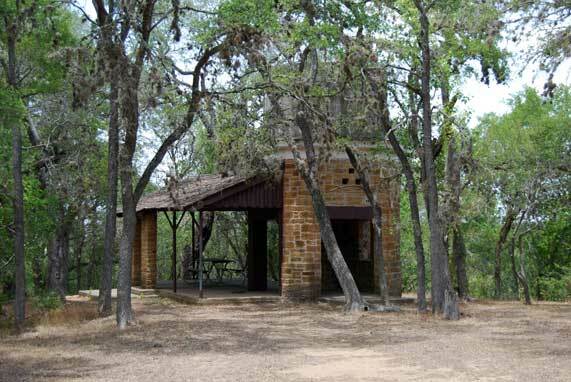 Designed by architect George T. Patrick, the Water Tower/Storage Building at Lockhart State Park has a stone masonry core to support the concrete water tank. Originally this open-air structure was wood framed and clad with wane-edged cedar siding to match the combination building a short distance away. Park staff adapted the water tower for golfers waiting to tee off on the dramatic first hole of the golf course.